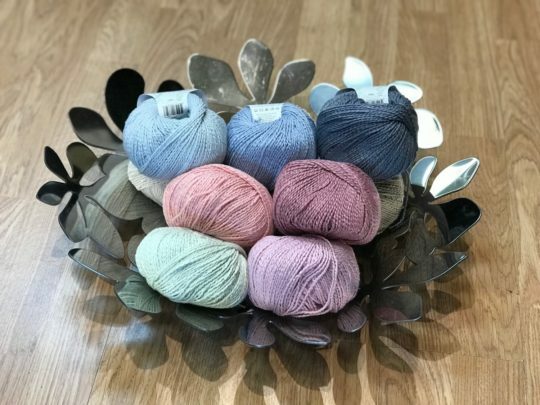 Fibra Natura “Papyrus” (78% Cotton/22% silk) has been re-stocked! As well as Ashford accessories, including bobbins. We know some of you have been waiting for them. 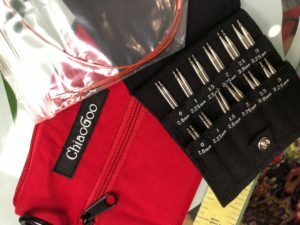 :-) We also received cables, and complete needle sets from ChiaoGoo, including Shorties! Speaking of needles… did you leave your interchangeable needle set at The Loop? If you did, please call the store at 403-457-3020 and identify it so we can return it to its home.